In August this year I will have been writing for Babyology for three years! So many wonderful objects have come to my attention in that time that I almost didn’t know where to start when considering my five favourite posts. So I turned to my personal passions of edgy art and design, baby naming and child transportation and discovered there were a few which stood out for me. Ah, the Taga Bike Pram. 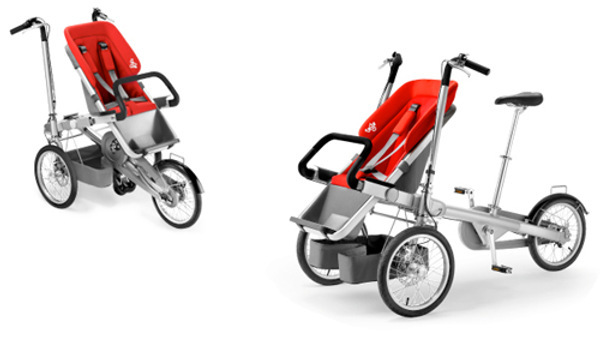 Capturing the imaginations of parents everywhere who’d love to go for a cycle but don’t want to brave a child seat on a normal two-wheeler. We featured it in December 2008, again when it launched in Europe and yet again in March this year when it launched in Australia. I can’t tell you how much I covet one of these, in red of course! Deeply embedded into my Babyology psyche is my trip to New York last September, then writing a shopping feature soon after. This remains one of my all-time favourite articles because within it is the experience of travel, when I hadn’t really travelled for a long time without children in tow. How marvellous it was to absorb the sights, sounds and smells of this incredible city and enter high-end boutiques without a demanding child to attend to. I missed my children like crazy but found my experience much more intense than if they were with me. 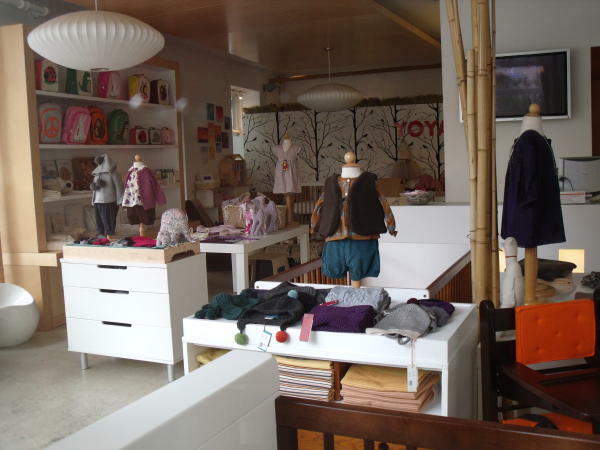 I was like a sponge and New York’s exceptional children’s boutiques captivated me. I subsequently wrote a feature on SoHo boutique Bundle. I’m a name nerd and admit that naming my boys was one of the most exciting aspects of waiting through the nine months of pregnancy! I always have a list going, which changes constantly and I’ve had many top three lists over the years. I caught the bug from my mum who has always had a collection of name books. 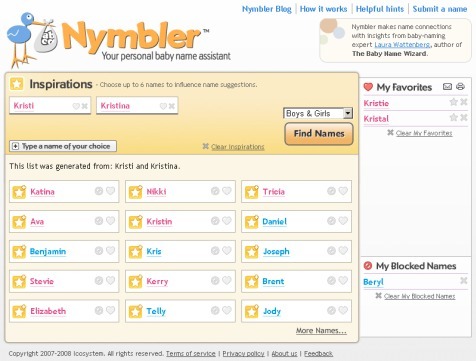 Baby naming resources have become so much more inspiring in recent years, with the advent of books which list names by style and websites which employ all manner of methods to get you to the perfect name. I adored featuring these resources in October 2008 and then we updated a few times later that same month and in March 2009. The Babycot Pod really impacted my thinking on early sleeping solutions for babies when I wrote about it in June 2009. 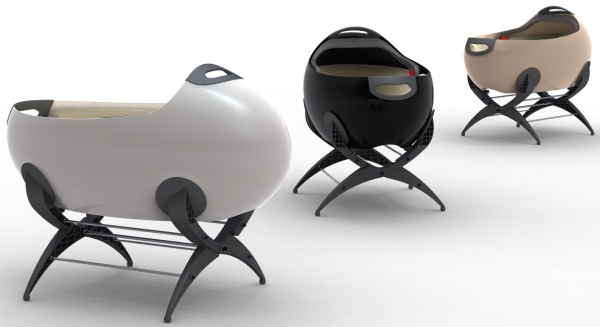 Featuring futuristic design and brilliant execution, the Babycot Pod Cascara is now in production and will be available in the UK from Christmas 2010! This kind of design never fails to make me over-the-top enthusiastic. I have rabbited on a whole lot about the affordable art movement and now my home is slowly being populated with many of its examples. One site I keep coming back to again and again is Art and Ghosts, which we featured in January 2010. 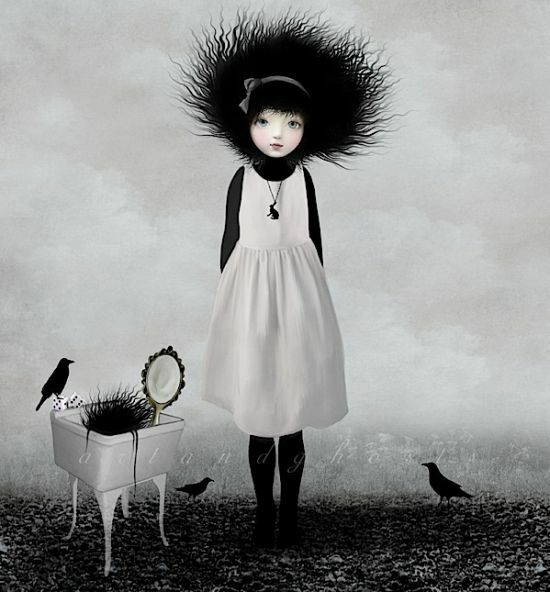 I now own about five of these gorgeous artworks as Louise is just so prolific and keeps creating these wonderful pieces. It’s no big surprise that Louise loves Blythe dolls (which I wrote about in January 2009), as do I! I can’t help but feel I’ve betrayed all my other favourite posts by only mentioning five but we have to work within the limits we are set! I have neglected the fashion and toys categories in favour of art, furniture, travel and names, but there are easily a few which might have made it had the list been our top ten. Let’s face it, falling in love with beautiful things is a hazard in this job and I wouldn’t have it any other way!